You are here: Home / After the Event Insurance / Personal Injury Claim First Enquiries – How Much Scope For Free Advice? 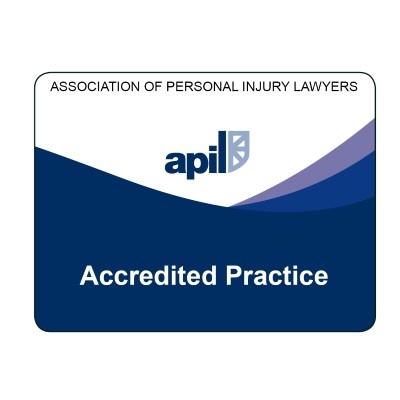 Personal Injury Claim First Enquiries – How Much Scope For Free Advice? We end most articles on this blog with a call to action along the lines of “get in touch if you have any questions – all initial enquiries are free”. I take that to mean: at what point do you get beyond the point of initial enquiry, where everything is “without obligation”, and get bound into taking things further with that particular solicitor? 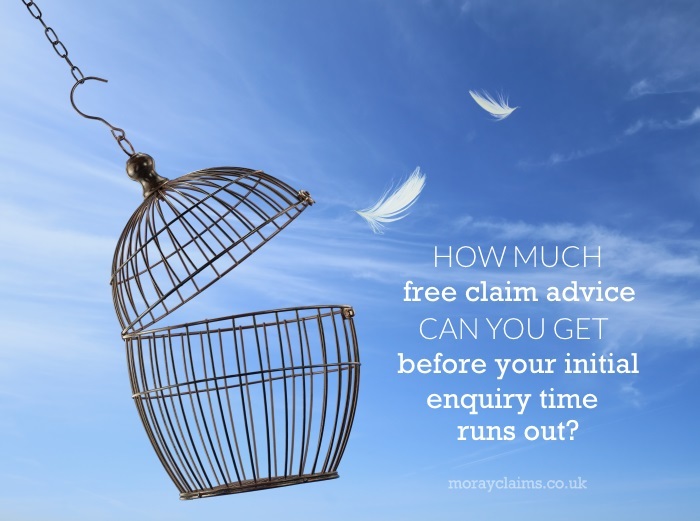 With personal injury claim first enquiries, how much scope for free advice do you have? We handle most personal injury claims in one of two ways here and I will try to explain what happens in each case (there’s a general summary, below, if you want to skip to that). If you qualify for some form of legal aid, we will encourage you to sign up for legal advice and assistance, which is the initial form of legal aid, covering meetings, correspondence and negotiations. 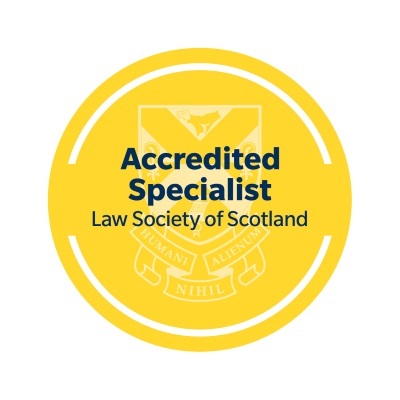 This is the way the solicitor / client relationship is formalised in legal aid cases – where you switch from being a casual enquirer to becoming a client of the firm. 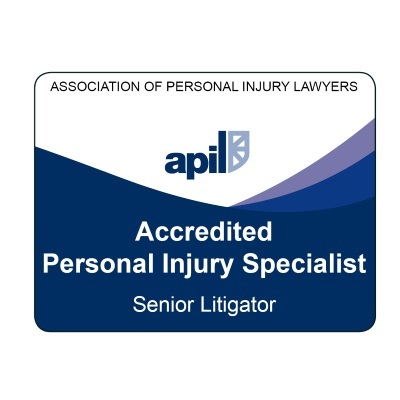 We take out After the Event (“ATE”) insurance to cover cases in this category. We need to have the insurance in place no later than the point we need to incur costs on your behalf. In a typical case, that’s when we apply for copies of your GP and hospital records. We won’t do that immediately, in most cases. Usually, we wait to get your medical records until you are no longer receiving treatment for your injuries. Once your claim has been intimated to the opponent, their insurers have about 3 to 4 months to investigate liability and give their decision. In some situations, it can make sense to wait and see what the liability decision is before incurring any outlays. At the point of taking out ATE insurance, you have to sign various forms. One of the effects of these documents is that if, at any later point, you “sack” your solicitor and / or go to another firm of solicitors, your original solicitor will still have certain rights to be paid for the work they have done up to that point and, especially, recover costs / expenses incurred on your behalf (e.g. the cost of medical records and medical reports) while they were your solicitor. No solicitor will want to lose the business that is your personal injury claim but, if there is a break down in relations between you and your solicitor, for whatever reason, you can always go elsewhere. Whether it is a good idea for you – from a financial point of view – will depend on the particular circumstances of your case. In a legal aid case, if you transfer to another solicitor mid-claim, the original solicitor will have to wait until the end of the case to claim payment. Assuming your claim is successful, the downside for you is that your original solicitor may have to be paid (at legal aid rates) out of your compensation, rather than out of the costs recovered from the insurers. Under no win – no fee, as described above, if you change solicitors before your case is concluded, the consequences will depend on the terms of the written agreement you have signed with your solicitor. There is no need for you to feel pressurised. It’s reasonable for you to want to take to time to decide whether the solicitor you have contacted is someone you think you can work with effectively, probably over many months to come. Accordingly, you’re right to be suspicious of anyone you feel is trying to “sign you up” in haste. There’s nothing to stop you making your position clear in any initial enquiry, so there can’t be any doubt. You could tell the solicitor that you’re not wanting to commit to making your claim with him or her at the moment and you’re just looking for initial advice. If they’re not prepared to go along with that – in the hope that, in doing so, they’ll convince you that they’re the right solicitor for you – perhaps that suggests they’re not a good fit for you. If you have a question about anything in this article, you know the score. You should feel free to contact us because all enquiries of that nature are free of charge and without obligation. You can call Marie or me (Peter Brash) on 01343 544077 or send us a Free Online Enquiry.